Legalized marijuana has the potential to cut down the thriving black market for the drug that only continues to grow despite the government’s continuous efforts to curb it. If successful, the legalization of marijuana could essentially destroy the black market for the drug by getting buyers to purchase the product legally rather than illegally. This, in turn, would run illicit dealers out of business and end its mass smuggling into and within the United States. That being said, successful legalization will not be easy. In order to maximize its potential benefits, legalization must be executed intelligently in order to make a lasting impact on the black market. Specifically, the government must legalize the drug nationally and allow the drug to be sufficiently supplied to the market at a relatively cheap price. Current policies that leave legalization up to the individual states are only fueling the black market. In states where the drug has already been legalized such as California and Colorado, farmers are growing the drug legally only to move it to states where the drug is illegal and more money can be made, providing an additional supply of the drug to the black market. Given these circumstances, it is essential for marijuana to be legalized nationally in order to prevent the movement of the drug within the United States from places where it is legal to where it is illegal. This would essentially eliminate the demand in the black market. Furthermore, legalized recreational marijuana must become cheaper and easily accessible. In places where the drug is already legalized, marijuana is too expensive to draw enough buyers and meaningfully crackdown on the black market. While consumers are willing to buy legal goods at higher prices, this only applies to a certain extent. Currently, marijuana prices are too high for most consumers, leading many buyers to continue to purchase the drug on the black market. In most states where the drug is legal, illegal marijuana is over 10% cheaper than legal marijuana. In California, the price gap is even greater at an estimated 27%. Marijuana must also be properly supplied and be relatively easy to purchase. Neighboring Canada is already experiencing a legal marijuana shortage which is leading consumers to continue to purchase from the black market. While this may mean letting private companies supply marijuana so competition exists, it is a necessary step the government must take if it hopes to impact the black market for the drug. If successful, along with cracking down on the black market for marijuana, legalization has the potential to provide the government with a series of benefits as a direct result of legalization. For one thing, to a certain extent, the government can tax marijuana and, as such, collect revenue from the drug. Additionally, legalizing marijuana would allow the government to reallocate resources towards other means. In 2013, marijuana prohibition on the national and local level cost the government an estimated $20 billion dollars. Despite this, the black market for the drug continued to thrive. If the government were to sufficiently legalize the drug, not only would they be able to cut down on the black market, but be able to reallocate the countless dollars and time spent on fighting the drug into other reforms. Furthermore, ending the marijuana black market would also reduce the mass smuggling of the drug at the border. Individual state legalization has already significantly undercut marijuana smuggling. Since 2014, when states first started legalizing the drug, marijuana seizures per agent have decreased from around 90 pounds to around 20 pounds in 2018. Nationwide legalization would only continue this trend, as an increased legal supply, would drive illegal smugglers into irrelevance. 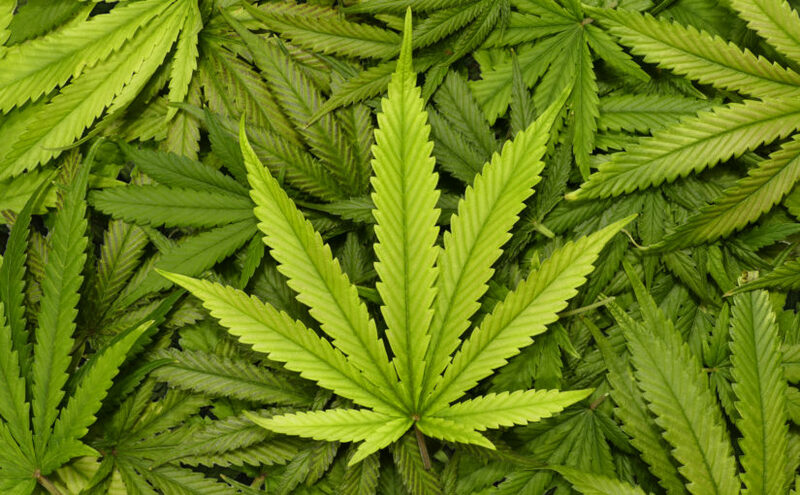 Despite the arguments supporting the potential benefits of legalization, there remains a highly supported and credible case against marijuana legalization. Many who oppose legalization often cite the negative health effects of the drug on the brain and body, both short and long term. Regardless of this, marijuana continues to be the most used illicit drug and the amount of users only continues to grow. In 2015, a Drug Use and Health survey found 22.2 million Americans had used the drug in the past month. Despite the well-known potential negative effects of the drug, people continue to use the drug and the demand remains high. Given these circumstances, the government should legalize the drug as there will always be users whether it is legal or illegal. At the very least, legalization will allow the government to take advantage of the drug’s huge demand, while cracking down on the black market, despite these concerning health effects. The potential benefits of legalizing marijuana provide a convincing argument to legalize the drug, but has begged the question of “why stop there?”. Why not legalize other currently illicit drugs such as heroin and cocaine? Although these drugs may be more harmful than marijuana, all the aforementioned arguments apply to the legalization of all illicit drugs. While at first glance this may seem detrimental, this may not necessarily be the case. In Portugal, over the past decade, the European country has seen a significant drop-off in addicts and abuse as a direct result of decriminalizing all drugs. These same tactics could apply to the United States and theoretically also help fight drug abuse in the country, along with providing the aforementioned benefits for the government. While the United States should take the first step in this process and draft legislation to legalize marijuana, long term, it should also consider decriminalizing all drugs in hopes of destroying a thriving black market and, more importantly, cutting down on drug abuse in the United States.